I made these ages ago, around 2005, but finally have a short video of them in action. 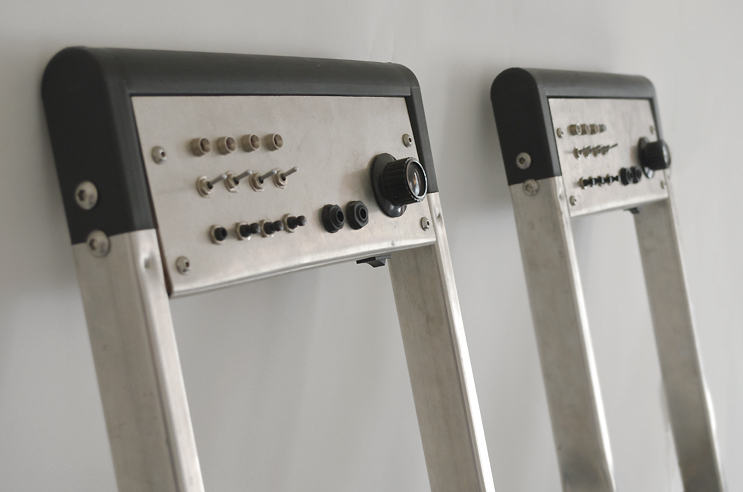 Each ladder contains four lo-fi sampler circuits, which are activated by spring-mounted steps. 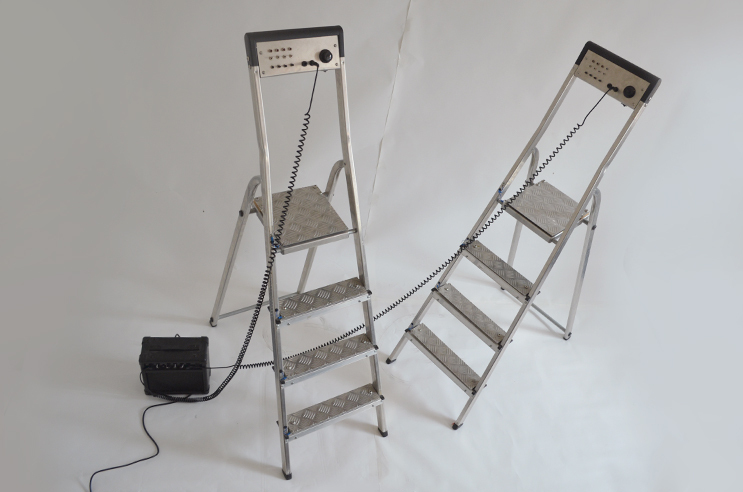 A selection of audio clips can be recorded into the ladders, around 5 seconds per sample. 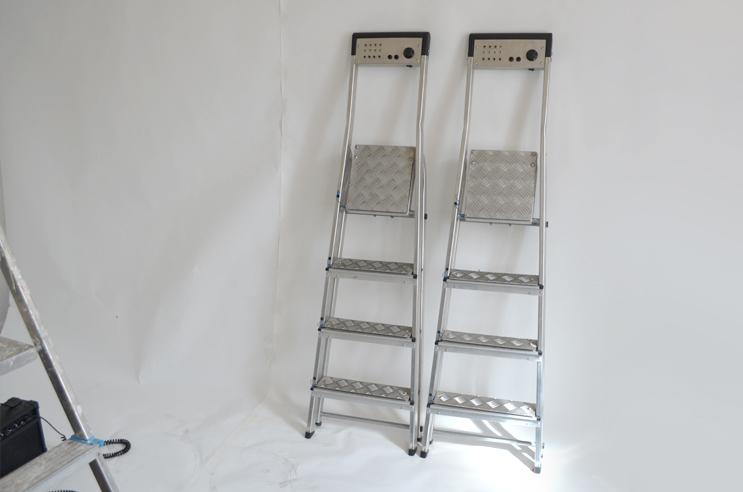 As well as playing musical compositions, the ladders have many other uses. Health and safety related warnings can be played back to reduce accidents in the workplace, pre-recorded words of encouragement can be used to help those who want to overcome feelings of vertigo one step at a time, and grimy warehouses can be filled with young persons sweating and gyrating to the latest sounds in dubstepladder. I'd like to re-visit this project at some point, as the audio electronics could do with a serious upgrade, the controls need labelling, and other improvements could be made. 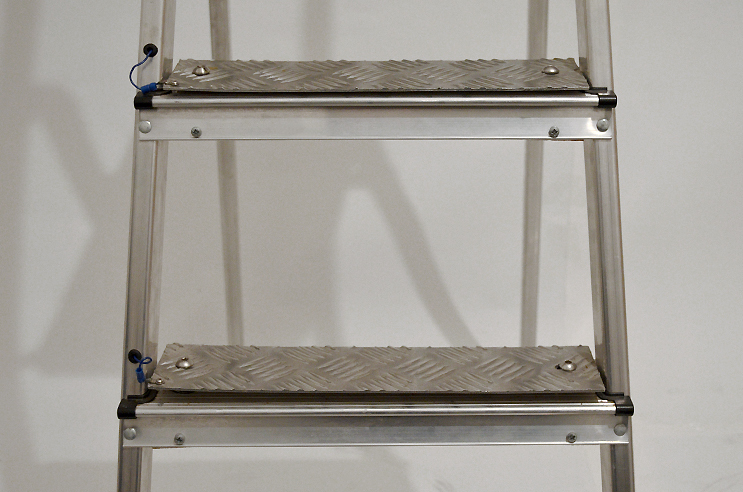 It would be good to make enough of them to form a ladder-based orchestra. 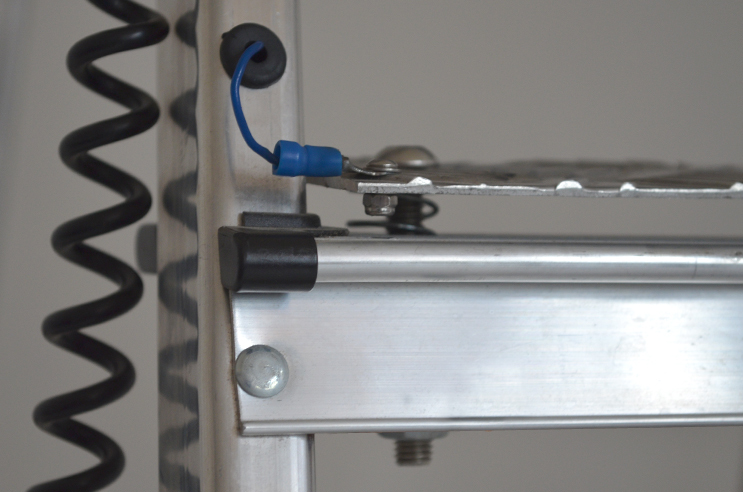 A more elegant switching mechanism could improve timing / playability. 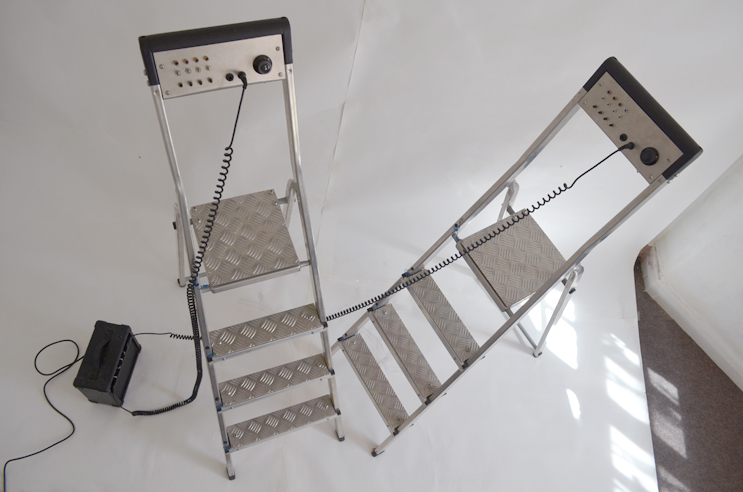 Get in touch if you would like to commission a whole load of musical ladders.